My house is finally starting to have the Christmas feel. The tree is decorated, but my little girl will probably take off the ornaments by tonight. I cannot believe she can almost walk! Ah! How does life go by so quickly? Last year we brought home our little munchkin from the hospital. Now she is talking, giggling and oh so tall! One of my favorites for Christmas wall decor is from Ransbury Decor. They have an adorable "Let it Snow" printable. Besides the printable being adorable, the best part is the price! For only $2.00 anyone can download and print this adorable Christmas design! I love affordable decor, which leaves more money towards buying Christmas gifts. :) Thank goodness! Another great printable to get into the Christmas season is the festive Merry Christmas Tree Printable. How adorable! I love the simplicity of the design. Cute! Again the price tag is $2.00 for a download. So affordable! If your baby is turning one soon make sure to check out this customized first birthday milestone sign. Now onto the giveaway! One person will win the "Let it Snow" printable and another person will win the "Merry Christmas Tree" printable. You can enter the giveaway below. Don't forget to read the terms and conditions. 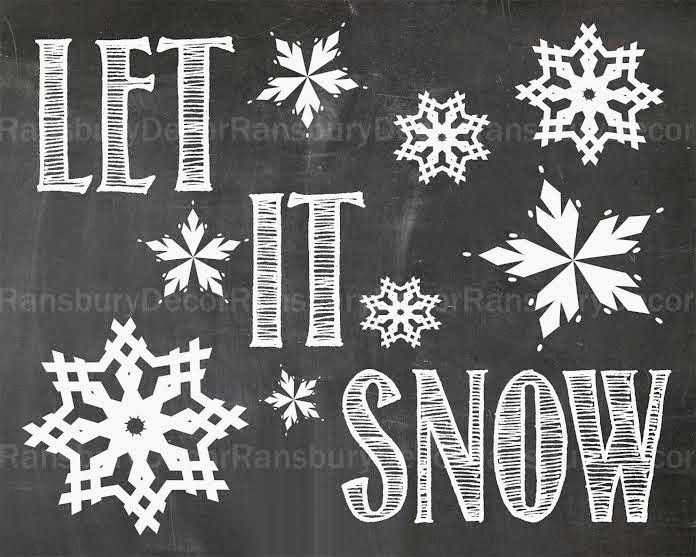 One winner will receive (1) Let it Snow Printable from the Etsy Shop Ransbury Decor. 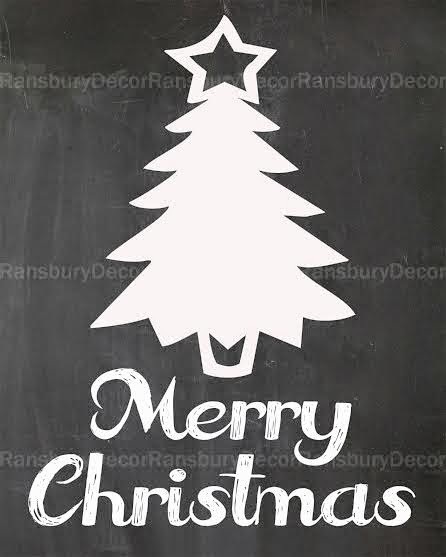 Another winner will receive (1) Merry Christmas Tree Printable from the Etsy Shop Ransbury Decor. Anyone wanting to enter must live in the United States and at least 18 years old. Refer to the giveaway for details on the opening and closing dates. The winners are chosen randomly and announced two days after the giveaway closes. The winners have 48 hours to respond or their prize will be given to another person. I like the Welcome to the Circus Sign - Digital Chalkboard Sign - Printable Chalkboard - Carnival - Big Top Tent from RansburyDecor the most. I also like the Digital Chalkboard Sign. I really love the Whale Cutouts - Set of 4 - Whale Die Cuts - Nautical Theme - Ocean - Under the Sea!